If you’re like me, you enjoy using your RV throughout the year, including winter when there are many activities to enjoy. However, more often than not, electrical hook-ups in a campground aren’t available when winter camping. This leaves your batteries to power your off-season adventure. Preparing for winter camping takes a bit of thought, especially when it comes to figuring out how to power up everything you need. In the instance where you only have one house battery, forget about winter camping (if an electrical hook-up is not available). 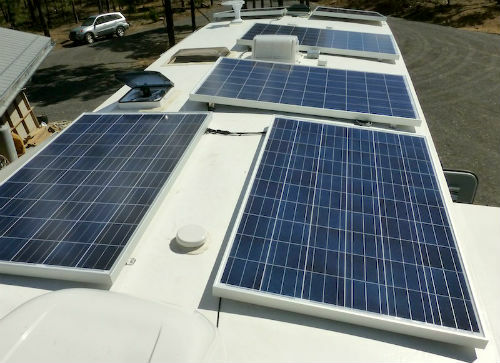 As a result, you won’t have enough reserve capacity to keep the systems in your RV operating. A charged battery has a higher percentage of sulfuric acid than a discharged battery. This means there is less water in the battery’s electrolyte and it’s less likely to freeze. It’s worth noting that a fully-charged battery will freeze if the temperature drops to 55 °F or more. A discharged battery may freeze around 20 °F. For coach owners, verify that the converter/charger charges the house and start battery. Otherwise, your engine battery may not start your rig at the end of your trip. Never let your batteries discharge below 50% of the rated capacity. If you do, recharge them. If you let them discharge to lower than 20% capacity, they’ll never charge to full capacity again. Battery usage is all about amps out and amps in. So, if you draw six amps out, say, running a furnace, you need a way to put those six amps back in. Or, you’ll have to head home when your battery bank is at 50% of its rated amperage capacity. You can charge them via your tow vehicle or alternator on your motor. This is typically the least efficient, but it is an option. Use your solar system if you have one. Use a generator to charge your batteries. This can be done via the RVs converter/charger by plugging in the RVs electrical shore power cord to the generators 120 volt AC outlet. Or, if the generator has a 12 volt DC output, hook straight up to the batteries. To determine the best option, find out what the charge rate is of your converter/charger compared to the DC output of the generator. Then, utilize whatever puts out more amps. Three-stage chargers are also ideal to use. Now, let’s look at minimizing the amps that are taken out. The biggest amp draw will be from your furnace. Determine the amperage draw, and then note how long it runs. You can then estimate how many amps were drawn out and how long your charging source will need to replenish those amps. As an example: If your furnace draws six amps for every hour it runs (and if it runs about 30 minutes out of every hour) you will need 72 amps/day to recharge your batteries (i.e. six amps per .5 hours x 24 hours in a day = 72amps / day). Other sources of battery drain include 12V lights. You reduce the drain by using LEDs, as incandescent bulbs draw about 1.5 amps while LEDs pull about .15 amps. Other battery-draining sources include gas leak detectors, TV antenna power boosters, stereos, appliance circuit boards, or refrigerators with heat strips that reduce condensation. Most are negligible but they can add up to an amp or two per hour. An easy way to determine the amp draw of these items is to pull the fuse in the converter and measure the amp draw between the fuse terminals with a volt-ohm meter. Also, decide if you can eliminate any of these loads safely. 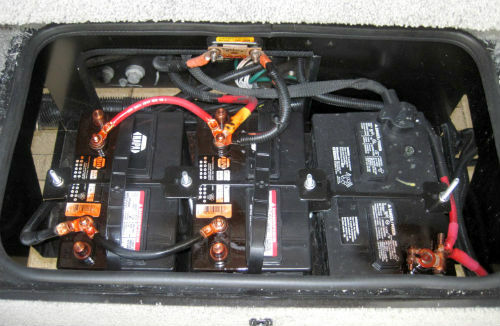 With a little research and practice, you will soon be able to maximize your RV’s batteries while camping. 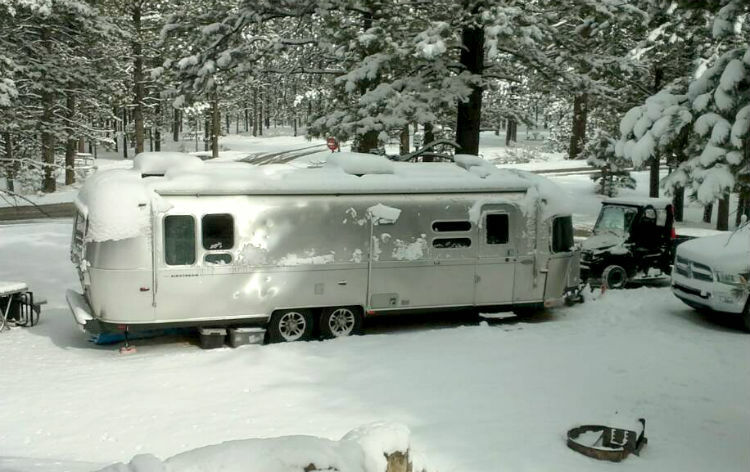 So, be sure to enjoy winter RV fun and everything that goes along with it on your next adventure! This article continually mixes up rate (amps) with volume (amp-hours) and even uses acceleration (amps per hour). Amps refers to the rate of use or the rate of charge (the rate that electrical energy is put back into the batteries). Volts is a measure of the potential energy. As one takes electrical energy out of the batteries (amp draw) batteries do lose some potential energy (voltage drop). This article probably does seem to make sense to those that do not understand DC electricity, but it sure is less than true to an engineer. 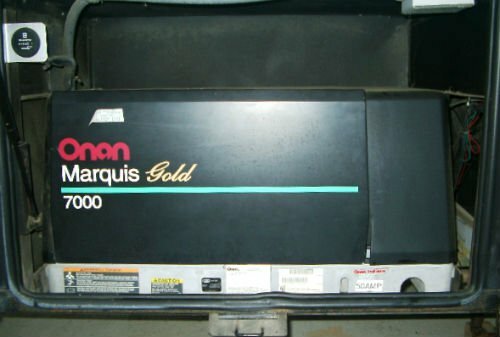 Perhaps everyone will one day get it 100% right and forget about Amp hours altogether and use watts and watt hours or kilowatts and kilowatt hours instead so it works for everything including battery capacity and appliance ratings regardless of what the nominal voltage your system operates at. This is great. I love camping. I will follow this for sure. This feel good article might get you in serious trouble. Please take the time to research battery types, converter & charger types, and solar systems. Bill – The article was aimed at entry level dry campers. You are correct it will take longer than stated to FULLY CHARGE your batteries, but if your batteries were only at 85-90% capacity when you started to draw them down the example given is a good rule of thumb as the converter/charger will replace the majority of the amps consumed, getting the user back to where they started. Thanks for commenting. As a fulltime 5th wheel lifer, I see the need for articles like this. to stay functioning in winter and hopefully avoid pitfalls. separate generator and fuel to run it incase of emergency. Problems DO occur and the man with electricity rules! Even a small generator with spare gas will save the day. if you are smart enough to have a 10 gallon fuel tank on hand to keep the genny going. 3 – wattage is the total amount of water that flowed through the pipe per unit of time. Basic article is great… and as can be seen stimulates the mind into…. what if …. conditions. to add to the author… normally it takes 1.5 times the amount of drawn to replace it back into the batteries with the charger. However, as others have said… its not a linear rate. The battery basics… once it starts to recharge offers a current reduction due to resistance within the battery. So the recharge time really can’t be determined by simple math. Also when its cold your batteries won’t produce the full rating. It will decrease in capacity… as the temp drops. Thanks though for the article though… always interesting to see what everyone is up too… and camping or boondocking in the winter is a real adventure… Just come prepared… . Follow the engineer as his train is on the correct track. Since this article is directed at “newbies,” it is critical to mention that the freezing temp of a fully charged battery does NOT begin at the listed 55 degrees Fahrenheit, which directly contradicts the previous sentence. It should read “-55 degrees or more.” Otherwise, many people would only camp in the heat of summer.